It’s our time to talk and catch up plus we goof around too. And the results are, well, delicious! This weekend, Reese and I put on our chef hats and got busy baking away in the kitchen again. Since it’s almost Valentine’s Day, we thought we’d better bake up some love together. 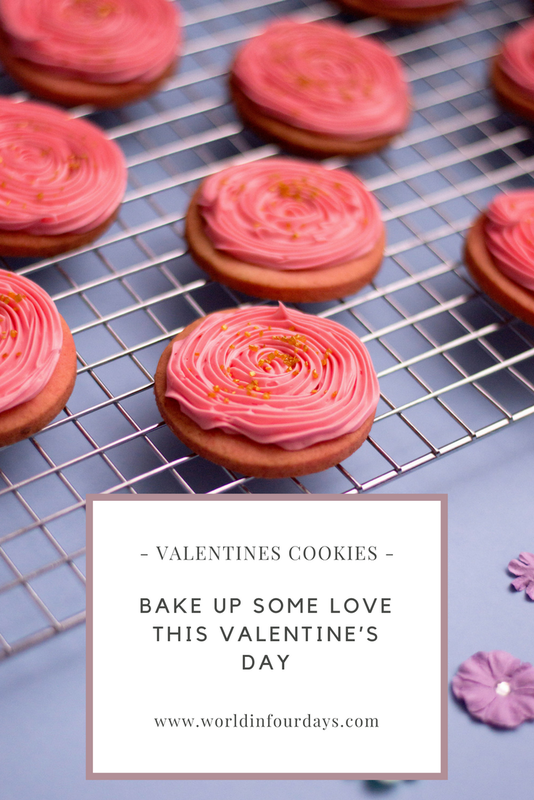 These cookies will definitely bring the love. Bake them with someone you love, or for someone you love, or both. 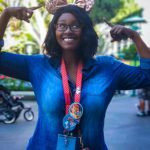 Don’t forget to love yourself with a few too. 1. First, line a baking sheet with parchment paper and set aside. 2. 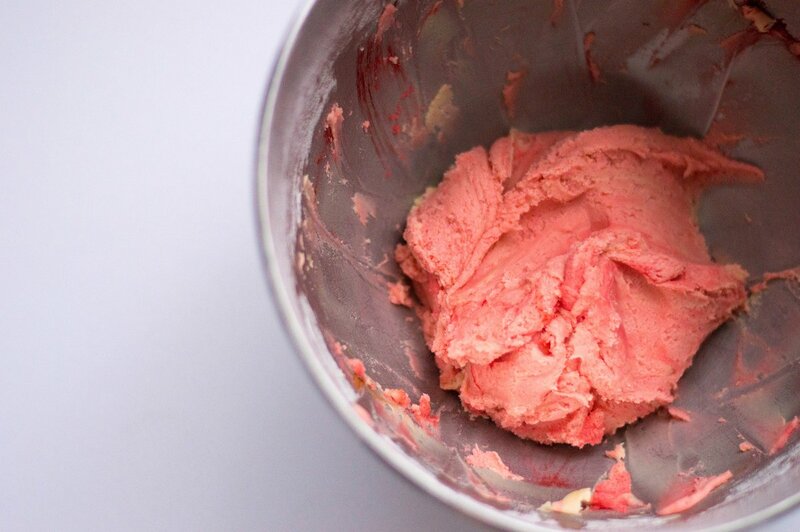 Using an electric mixer, beat your butter and sugar on medium speed until you achieve a creamy consistency. Then add the vanilla extract and egg. 4. 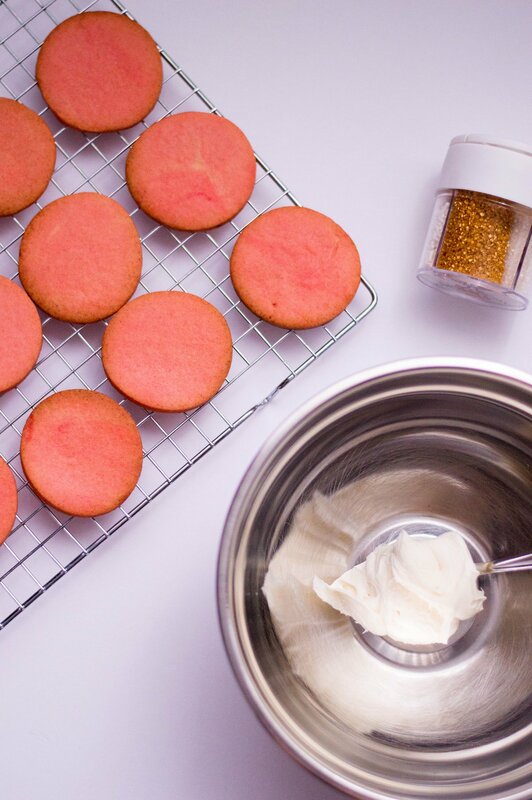 As that mixes, add the red food coloring gel slowly until you achieve a light pink color. You can stop the mixer and fold all the ingredients thoroughly with a spatula. I like to do this just to make sure that everything is well-mixed and well-combined. 5. Roll your cookie dough into a large bowl and wrap it with plastic wrap. Refrigerate for at least one hour. 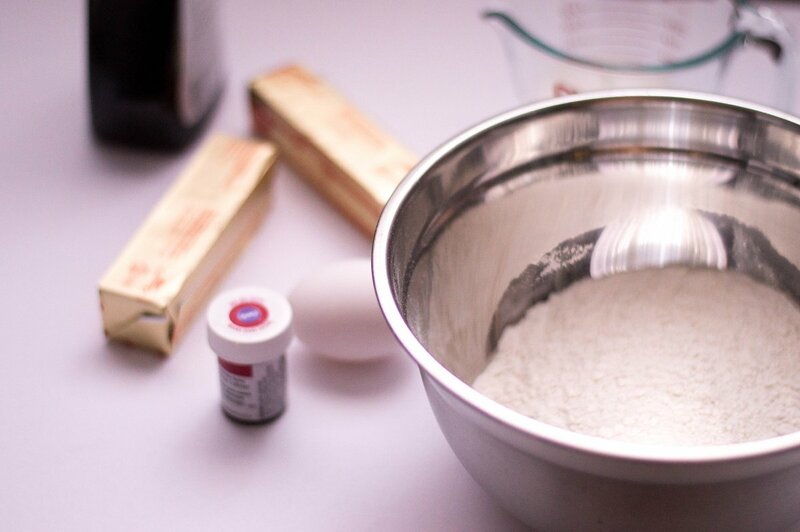 You can make it the day before you plan to bake too if you prefer. 6. When you’re ready to bake, preheat your oven to 350 degrees Fahrenheit. 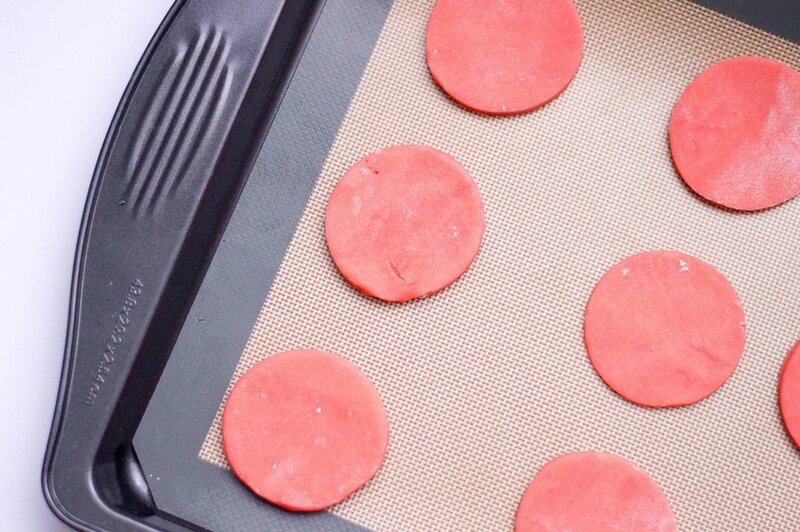 Roll out your chilled cookie dough on a floured surface until it’s about ¼ of an inch thick. 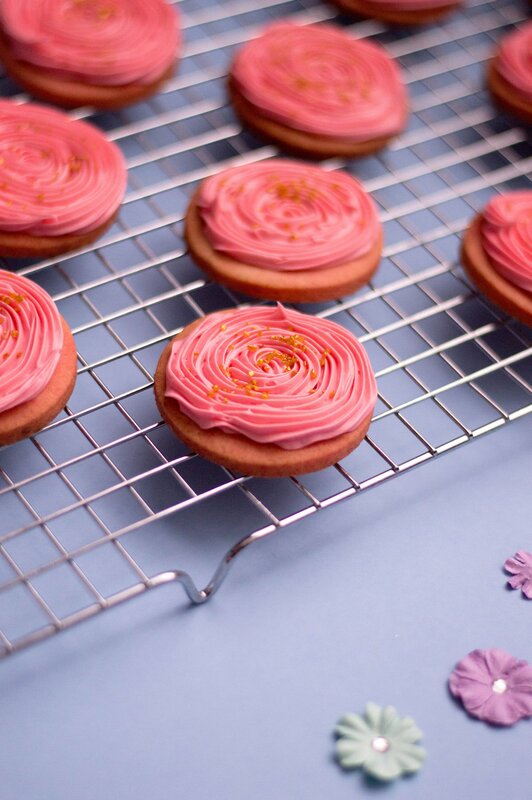 Cut out circles using your cookie cutter. Bake for 8 to 10 minutes and let cool completely. 7. 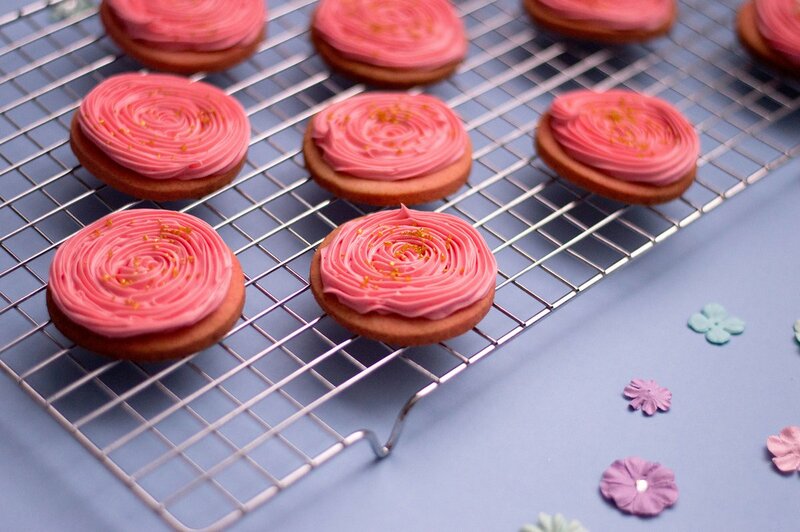 Once the cookies have completely cooled, add red food coloring gel to your frosting and mix. Using a piping bag, frost the cookies. If you don’t have a piping bag, you can cut the corner off of a plastic zipper bag to achieve the same effect. Decorate with gold sprinkles. Serve and enjoy!